I’ve explored South Africa’s Cape Peninsula maybe a dozen times. It never gets old. There’s always a vibey cafe to duck into, a beach to stroll along, a tree to sit under and soak up the scene. It’s the perfect place to spend a sun-drenched Western Cape day. 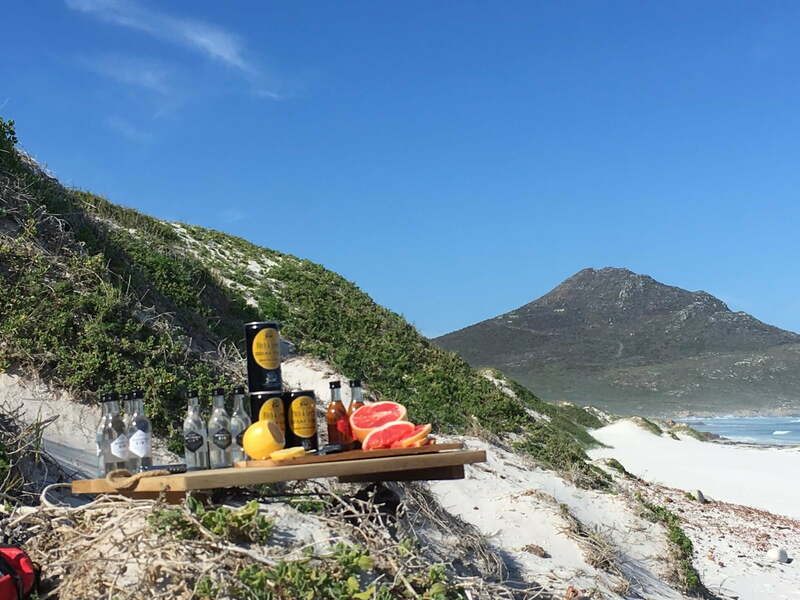 New Frontiers has taken exploring the Cape Peninsula to the next level and then some. 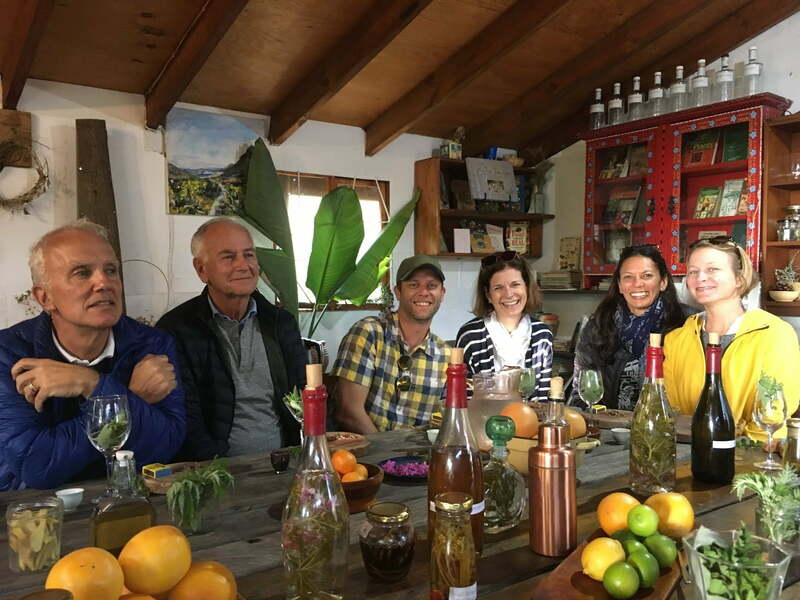 Tad and I had the chance to join a group of tour operators on a New Frontiers Escape just prior to We Are Africa. Our guide James was welcoming, and kept us informed on our surroundings as we were heading to our first stop in Kalk Bay. He also shared some stories of his diving career background, which were totally fascinating. On arrival in (totally charming) seaside Kalk Bay, we made a stop at Olympia Cafe – a personal favorite of mine. Always bustling, James took us around to its sister takeaway shop around the corner where we admired the bakers hard at work through the window and snapped up fully half of the beautiful breads and pastries for sale. 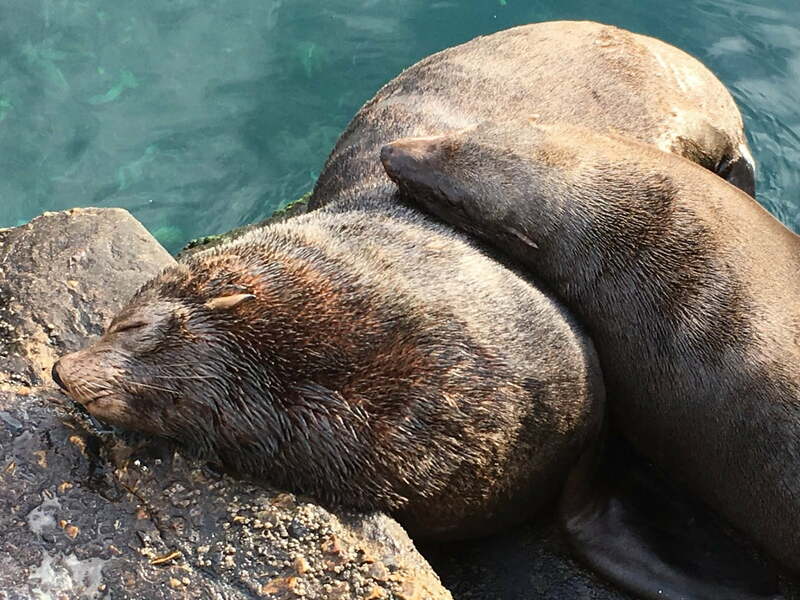 The group reconvened at the harbor to chat, sip coffee and watch fat sea lions sleeping off their morning feast of fish bits from the nearby processing facility. 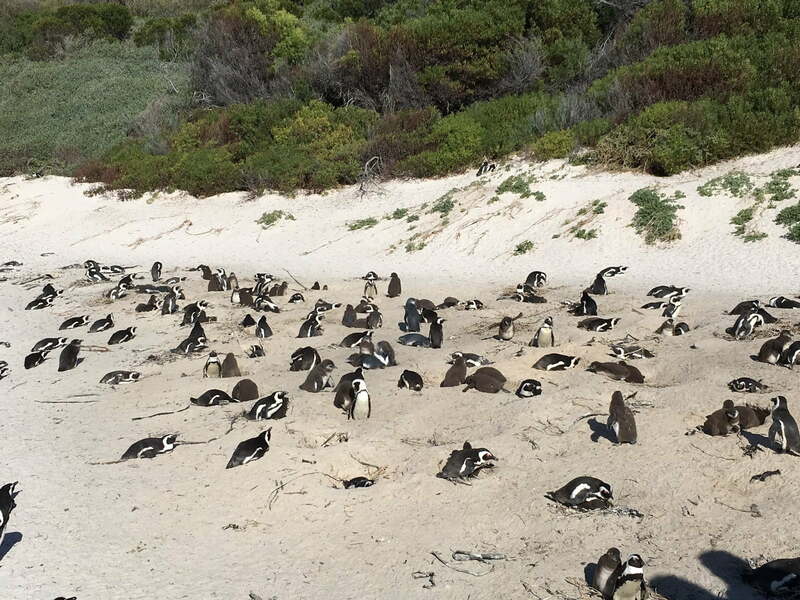 beaten path – visiting a penguin-filled beach that only locals know about. We gathered again at the kayak/SUP base to find penguins in the shop, then descending the stairs to the beach, much to everyone’s delight! Some snacks from the vehicle’s ‘onboard gourmet pantry’ were passed around (biltong, trail mix, homemade potato chips…yum!) to refuel a bit after our activities, and we were off to the next adventure! Next was the windswept, dramatic Cape Peninsula Reserve. 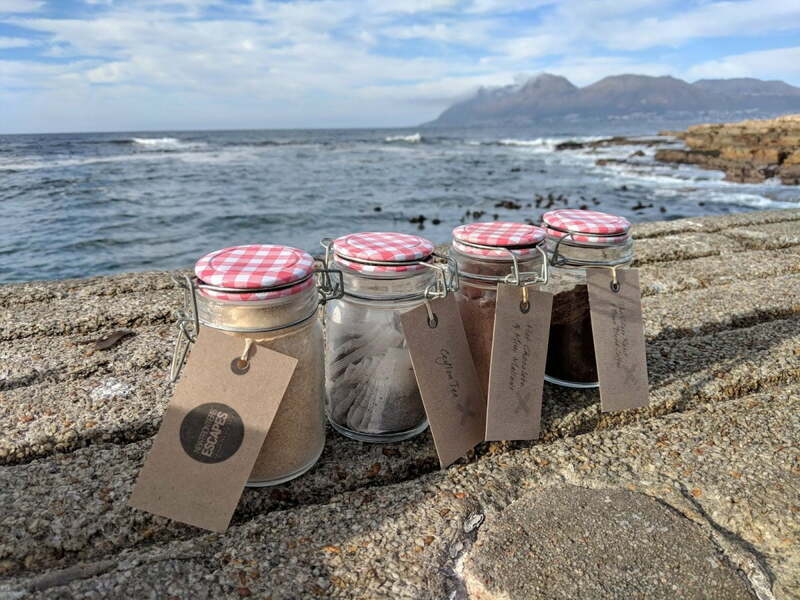 We drove slowly through to take in some of the beautiful scenery, then stopped for a stroll through a long, sandy stretch of beachfront fynbos. We looked for signs of the Cape clawless otter (another of the guides was an expert in the local fauna, making for an especially fascinating walk), learned about various kinds of fynbos (one of the world’s 7 floral kingdoms occurs only within South Africa! ), and soaked in the incredible views. 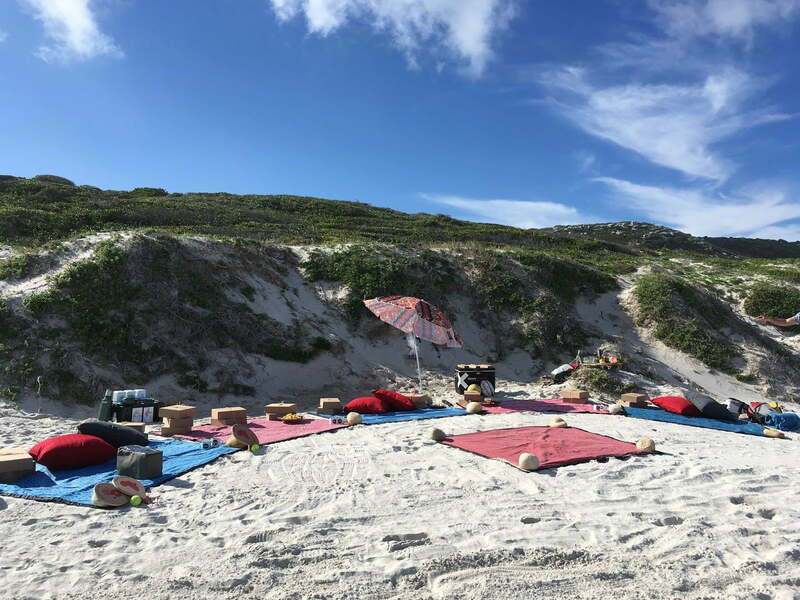 A lovely surprise awaited us behind a sand dune – a gourmet picnic, replete with beach bar, blankets and beach games (cricket, anyone?). For an opener, we were treated to another example of Capetonian’s unending ingenuity for saving water. We were presented with a marshmallow-shaped (and sized) object that, after perhaps a teaspoon of water, expanded to become a wet wipe of sorts. Hands clean! 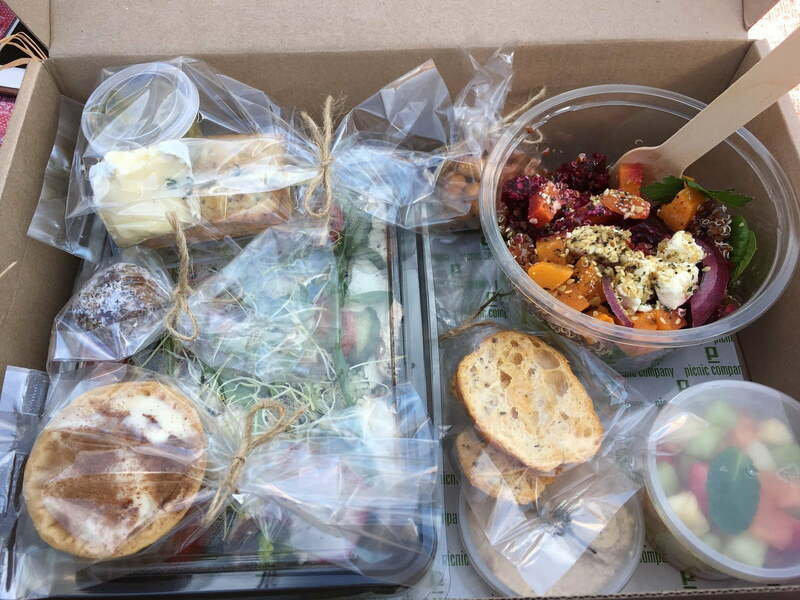 All dietary restrictions catered to (with individually labeled picnic boxes), cool drinks passed around (including local artisinal gins, small batch iced teas and more), we sat and soaked up the sun while enjoying what was far and away the best boxed lunch I have ever had, and well needed after weeks on the road. I hadn’t expected to find quinoa salad with beetroot, butternut, greens and feta, or barley chicken Greek salad in a packed lunch. Safari camps, take note!! The grand finale of our day of exploration came at an unassuming spot called Veld and Sea. Part fynbos nursery, part super-cool activity center, we were treated to a botanical craft cocktail making session (accompanied by gorgeous, fresh, healthy food). The space total Instagram candy – it definitely looks like magic happens there daily. 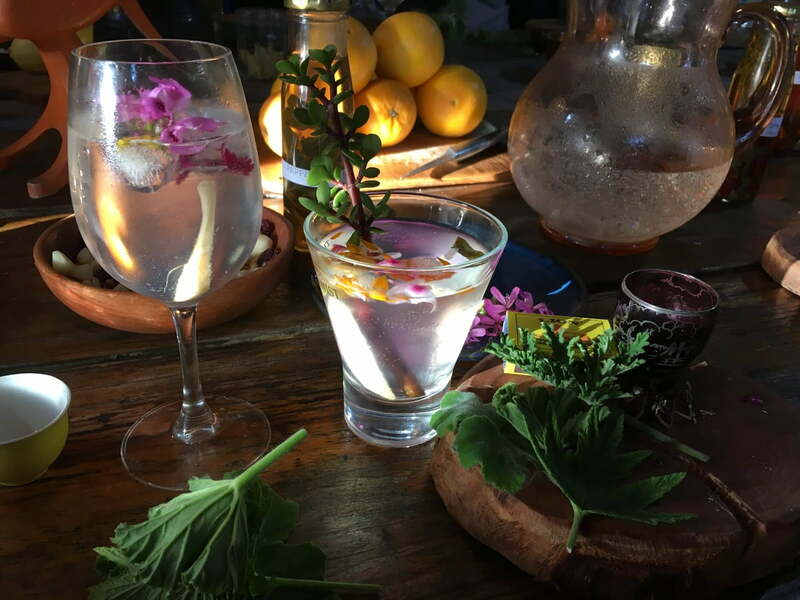 From lighting local botanicals on fire to ‘smoke’ our cocktail glasses, to mixing in hand-crafted cordials made from hyper-local vegetation and chilled with edible flower-laden ice cubes, we were practicing modern-day alchemy with delicious results! 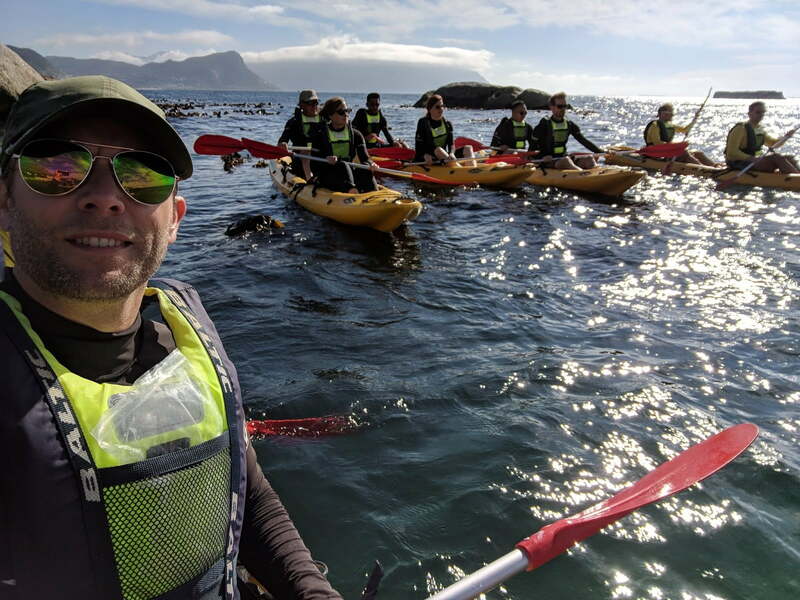 New Frontiers Escapes give your guests an exciting array of options to explore the City, the Cape Peninsula, the Winelands and the Overberg that offer a totally new way of experiencing each locale. They offer four distinctive themes for each of the areas – Active, Explore, Family and Quirky. Explore – Visit the key sites by vehicle and foot, getting guests away from the bustling crowds and engaging them with the local history and culture of the region. Active – Explores the area through a combination of soft-adventure activities that include hiking, stand-up paddle boarding or cycling. Family – Explore, engage and interact through a series of fun activities using the iconic sights as a playground. 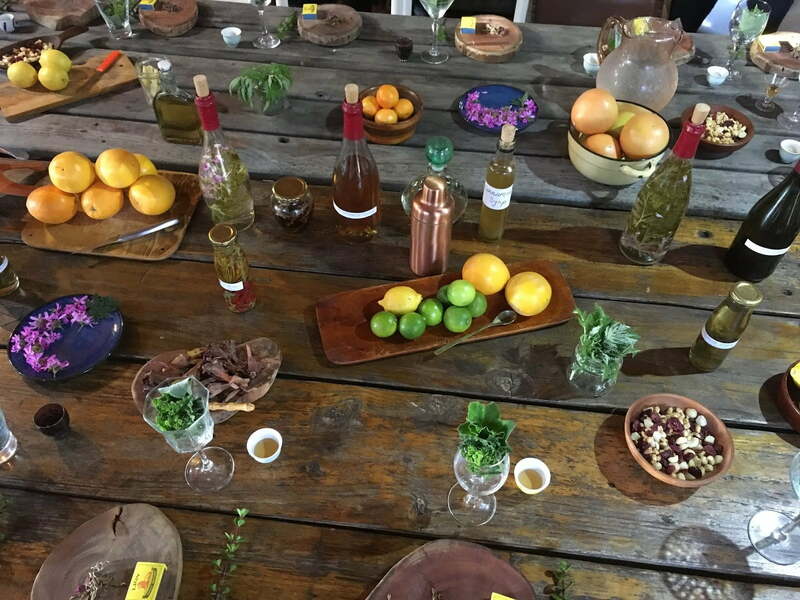 Quirky – Taste, touch and feel your way through the region, exploring off the beaten track areas and visiting some hidden gems and innovative projects. Learn more about New Frontiers Escapes on the Agent Zone, or contact Tad or Gretchen with questions!